Choosing to get sober after living with a drug and alcohol addiction is a drastic change. Recovery is about more than coming to sobriety and staying abstinent from drugs and alcohol. 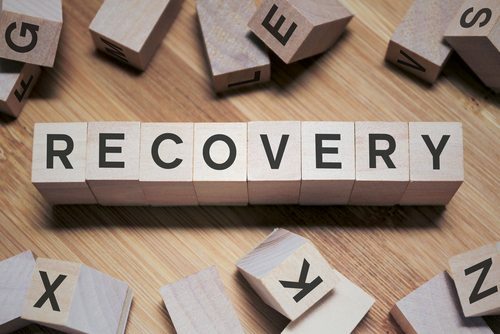 More simply stated, recovery is about more than just quitting drinking and/or using drugs. When we enter recovery, we enter a commitment to ourselves to growth, healing, and learning, in which we identify our struggles, celebrate our accomplishments, and stay dedicated to continual progress. We are constantly working on ourselves in an effort to create a better life than the one we had which inspired us to hurt ourselves, and others, through substance abuse. One of the foundations in making this significant change is looking at a change in values. We hold certain values in our addiction that we do not want to hold in recovery. Likewise, we hold certain values in our recovery we may not have ever thought of holding for ourselves in our addiction. When our values of addiction cross the line into our recovery values, we often struggle. We find that our addiction values no longer have a place in our lives. Commonly, our values of addiction include self-centeredness and self-destruction. Our tendency toward self-sabotage gets in the way of creating and living the values of our recovery which no longer involve self-destruction. We might not have an opportunity to explore our addiction values until we start exploring our recovery values. Recovery is an ongoing process of self-discovery and self-growth. When we discover we value spending time in the outdoors, for example, we might realize we didn’t value prioritizing special time, money, or ability to spend any time in the outdoors during our addiction. If we discover we really value working hard and being successful we might realize we valued laziness, sloth, and being content with mediocrity, or realizing we didn’t value success at all because we didn’t think we deserved it.